Looking for a healthy way to celebrate St. Patrick’s Day? 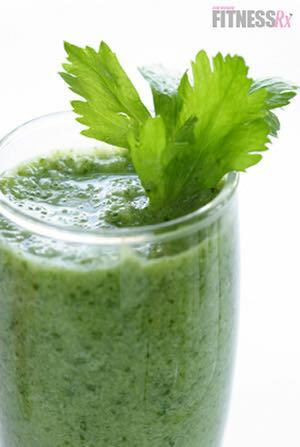 Skip the green beer this year… and try a green smoothie! OK… so maybe drinking a green smoothie isn’t the way you envisioned yourself celebrating St. Patrick’s Day… but why not make it a new tradition? Or better yet, incorporate these nutritional powerhouses into your regular plan throughout the year. After all, green smoothies provide energy-boosting nutrition and won’t leave you with a hangover the next day! • Raw fruits and veggies help build lean muscle because they provide high-quality, bio-available vitamins needed for cell repair. They also aid in cardiovascular health and proper heart function. • Juice aids in weight loss. • Raw fruits and vegetables speed up enzyme activity, keeping you hydrated and increasing energy levels. • Drinking a variety of fruits and veggies protects your immune system, keeping you healthy. • The dark green chlorophyll in plants cleans your blood; when your blood is clean, your body runs more efficiently. • Fruits and veggies remove toxins from the body. • Juicing can bring back vitality to the skin, leading to healthy hair, skin and nails. Juice all the above together and stir. 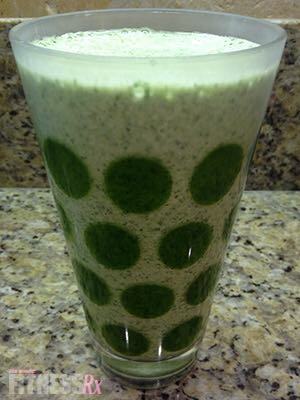 IFBB Pro Gina Aliotti makes tons of green nutritious smoothies, and was kind enough to share one with us. Perfect as a pre- or post-workout treat or even a refreshing meal replacement, her Green Goddess smoothie is full of vitamins, minerals and healthy fats. • Kale: Full of iron, vitamin A, C and K, calcium and powerful antioxidants. • Avocado: Full of vitamins A, D, E and K, potassium and rich in omega 3s, offering great heart health (it also adds creaminess to the smoothie). • Kiwi: Loaded with vitamins, minerals and high in frolic acid, which is great for expectant mothers. • Parsley: Loaded with vitamins and minerals, including a rich source of vitamin C, A and K. With over 150 percent the recommended daily allowance for vitamin K, parsley is a great addition to help promote bone health. • Coconut water/milk: SO many benefits— a great source of electrolytes, vitamins, minerals, gut health, provides great energy with its medium-chain fatty acids, and SO much more! More good news: If you sign up for Gina’s fitness and nutrition newsletter, you’ll receive a free green smoothie download! You can sign up at http://ginaaliotti.com/fitness-network/newsletter/. 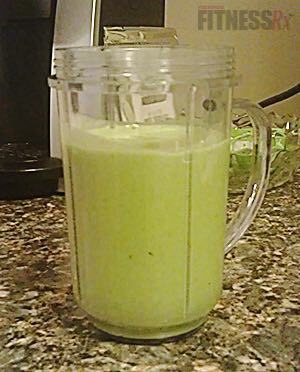 Lately, I’ve become really addicted to making my own smoothies as a meal replacement or a snack. I am just so busy, running to and from work, meetings and other work obligations, exercising, and in between that trying to keep up with family and friends. Smoothies provide an easy way to get a ton of nutrition for someone who is always on the go, so they’re perfect for me. My Morning Energy Burst Smoothie is a recipe I’ve been playing around with. I have this for breakfast a few times a week, and I always notice that it gives me energy in the morning, and I’m much more productive at work when I start my day with this. I love my coffee… but I have to admit, this smoothie wakes me up better than caffeine. And it also makes the perfect post-workout drink as well. • Spinach is packed with vitamins like C and A, as well as flavonoids that help protect you from illness, and it is a great source of iron. • Greek yogurt is loaded with protein, contains calcium, as well as probiotics, which are good for digestive health. • Natural peanut butter that doesn’t contain excessive oils, sugar and salt is the best option. It’s full of healthy monounsaturated fats, magnesium, and vitamin E for muscle protection. Play around with this one… try adding flaxseed and different fruit combinations!